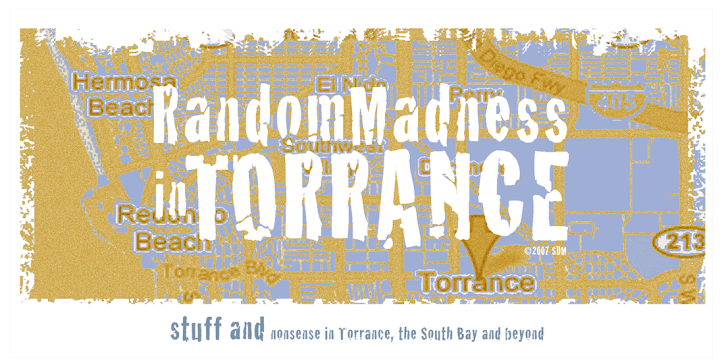 Random Madness in Torrance: How Much Is It? Paid my parents a visit today. Nick demonstrated his 'talent' on the trombone. Grandparents are proud in a way no one else can be proud. Nick beamed. Grandparents beamed. Took my mom on a shopping trip to the new '99 Cent Store' that just opened in Torrance. I get a perverse thrill from buying crap from this store, telling people where I got it, then asking 'guess what I paid for this??' Yes, I need to grow up. 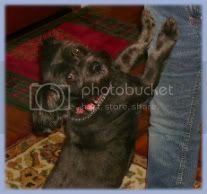 Mom didn't think there would be much to interest her there, but once she walked through the door, her little cloudy eyes brightened up. She peered at the canned peas parked in front of the entrance, then commented 'hmmm, off brand' which of course they were, but then, what can you expect for 2 for $.99? She bought two cans. She ended up buying quite a bit of stuff, but she couldn't really grasp the whole 99 cent concept. She kept asking 'how much is it?' which gets kind of annoying in a store where everything is...well, you get the picture. When the idea finally set in, she happily bought a bunch of bananas, tomatoes, towels, cough candy - all with the comment 'oh, it costs this much at K-Mart' or 'it costs $1.99 even at Costco.' Mom was happier than a pig in mud. I steered her away from the canned peaches from China - no reason to press our luck. Once we got home, she cracked open the canned peas, as canned peas are one of the four green things my dad will eat. She commented that they were larger, hence, less desirable than the Del Monte brand she usually buys. I argued that, in fact, peas are peas, especially when the life is boiled out of them, and they're sitting in briny tin can bath. I think she'll go back, but I don't think canned peas will be on her list - even if they're 3 for $.99.